EPFO's 8.65% interest rate for FY19 is actually equivalent to 13.5%. The Employees’ Provident Fund Organisation (EPFO), under the union labour ministry, raised on Thursday interest rate on deposits for its 60 million subscribers to 8.65% for 2018-19. 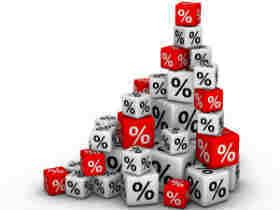 This was the first increase in four years and came amid expectations that rates will be left unchanged. With returns on provident fund contribution being tax-free, post-tax returns on the EPFO will add up to over 12% in the top income bracket. In contrast, Public Provident Fund offers 8% to its subscribers, while the highest return offered by SBI on its deposits is 6.85% in your park money for five years, which will also make it eligible for tax breaks. Here is how EPFO's 8.65% interest for FY19 means for individuals in different tax brackets. For individuals in this tax bracket, the effective tax (tax plus cess) rate is 20.8%. So tax-free return of 8.65% is equivalent to 10.92% with tax in this income bracket.